If you see a tick on your pet, you should remove it as soon as you can and keep it for your vet to identify. You can use tweezers, specially made tick removers, or if you’re not squeamish, your finger nails. Don’t be overly concerned if some of the tick’s head is left behind, it won’t inject any more tick toxin and if need be it can be removed at a later date. Ticks vary in size from 2mm to nearly 15mm in length. When engorged that have a distinct grey colour and their four pairs of legs are crowded up near their head. If you cannot remove a tick, it may best be removed by your vet. Owners often mistake skin lumps for ticks and wonder why they won’t come off! Don’t assume that because you have removed a tick, that they will not get sick. Even if your pet is not showing any clinical signs when the tick is removed, the tick toxin is know to circulate for two to four days before binding to nerve muscle junctions and causing paralysis. In these cases keep a close eye on your pet and don’t let them exert themselves, get overheated or remain unsupervised in areas it may get stuck and not be able to make its way back to safety for four days. Make sure you supervise them when eating or drinking for the next four days. Any coughing could be an early sign that they are developing tick paralysis and they need treatment. 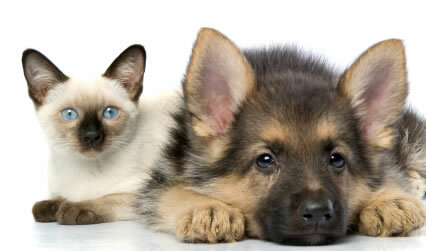 If your pet is showing signs when you remove the tick, then they will invariably get worse. Early treatment in these cases will improve their chances of survival. Change in voice. Their meow or bark may become softer or change pitch as the muscle of the larynx (voice box) become weaker and paralysed. Vomiting. Affected patients can vomit several times a day, unable to keep down any food or water and may also have difficulty swallowing food. Weakness or wobbliness which often starts in the back legs. This often presents as patients sitting or collapsing in the hindquarters after only taking a few steps. Weakness will progress to the front legs and become so severe that they are unable to rise or even support their body weight. Coughing and laboured breathing. Breathing difficulty is the most severe complication of tick paralysis. This is a result of a number of factors. Firstly paralysis will affect the respiratory and laryngeal muscles making it difficult to inflate the lungs. Secondly, the tick toxin affects the heart muscle through a different mechanism causing congestive heart failure and fluid build up in the lungs. Thirdly, the paralysis if the larynx in combination with vomiting and swallowing difficulties allows food and saliva to enter the wind pipe resulting in pneumonia. Treatment of tick paralysis requires hospitalisation and administration of tick antiserum. This antiserum prevents further paralysis caused by circulating toxin allowing the nerve muscle junctions to recover. Hospitalisation times vary depending on severity of clinical signs at presentation, presence of any complications and response to treatment. While we understand that you want your pet home as soon as possible, hospitalisation is necessary because complications are frequent and may even develop after initiating treatment. Detection of these complications requires regular monitoring by trained personnel. While patients are recovering, they are unable to eat or drink as the risk of developing a fatal pneumonia is too high. In order to prevent dehydration and metabolic derangements they may require intravenous fluids. The risk of preventing dehydration needs to be balanced against the risk of exacerbating congestive heart failure with intravenous fluids. Paralysed patients are also at risk of urine retention, urine scalding, pressure sores and corneal ulceration. We send patients home as soon as they are able to safely eat, drink, walk and go to the toilet. Despite this, they may not be fully recovered for up to a month. Because of this it is imperative to prevent exertion and excitement as this may allow clinical signs to return or affect their weakened heart. Tick treatment does not afford any long term immunity to tick so regular checking is essential as a second attack means more treatment!